On 23rd May 2018 Michael Walbert will hold a one day-seminar in Vienna on crisis communication and litigation-PR together with PR-expert Bettina Pepek. By means of examples Bettina Pepek and Michael Walbert will analyze potential crisis scenarios and legal fields in the focus of media and present ideal communication strategies. On 16th May 2018 Michael Walbert will give a presentation about the Austrian Supreme Court’s first case law on the business judgment rule and the practical implications resulting from such case law. Further key topics of his presentation will include practical tips on liability reducing measures and insurance solutions. 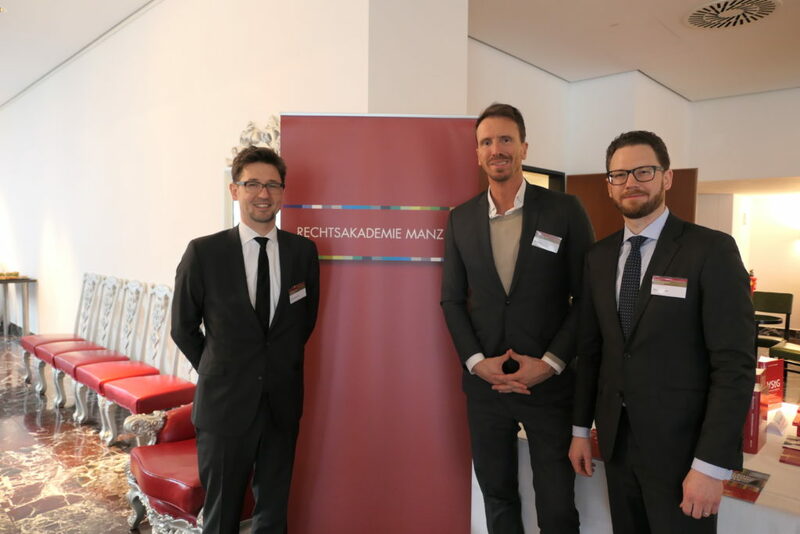 The special conference “Liability of Executive Employees and Managing Directors” was held as part of the Manz law academy on 14th March 2018 in Vienna. Michael Walbert was responsible for the conception and direction of the conference. Together with Max Kindler (managing director in the Rail Cargo Group of OEBB) he gave an overview of current developments in management liability as well as practical advice on how to detect and avoid liability traps. Further key topics of the conference included executive employees’ and managing directors’ responsibility under administrative and criminal laws as well as labor law aspects.